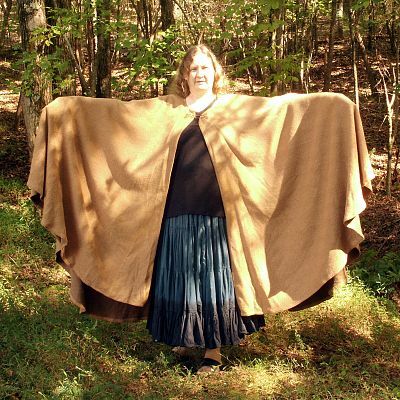 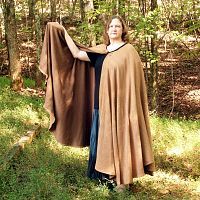 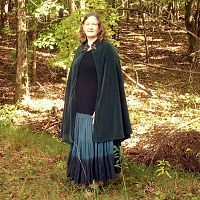 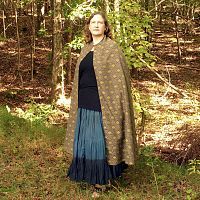 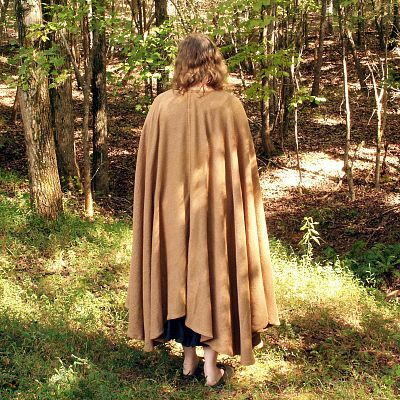 - Whether you are hitting the road for an adventure, or going to the local castle for a masquerade ball, this cloak will keep you covered in style. 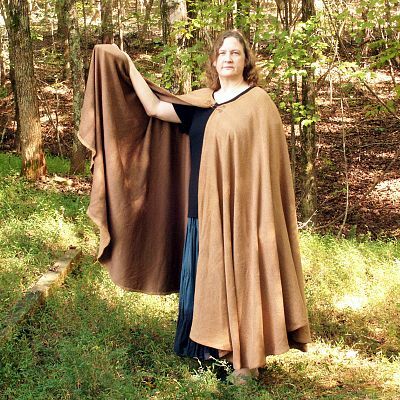 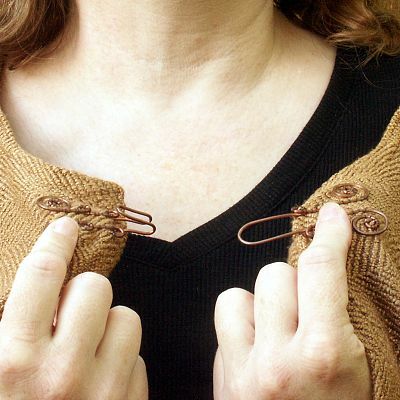 The fabric is a heavy brown twill with just a touch of silkiness. 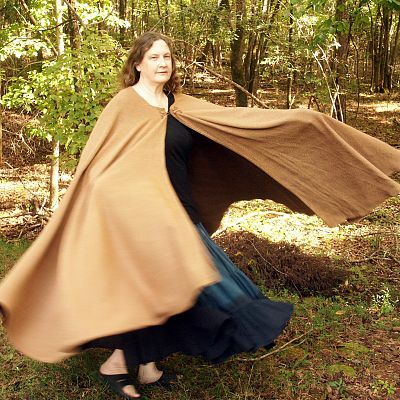 It drapes and moves beautifully, with no stiffness or scratchiness. 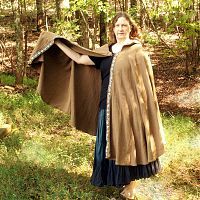 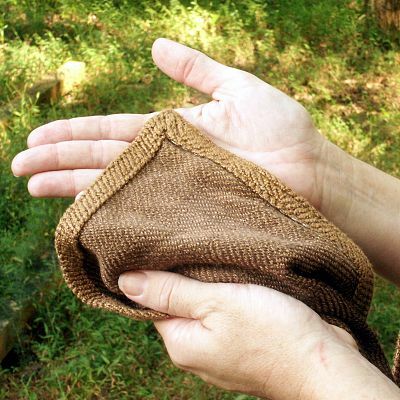 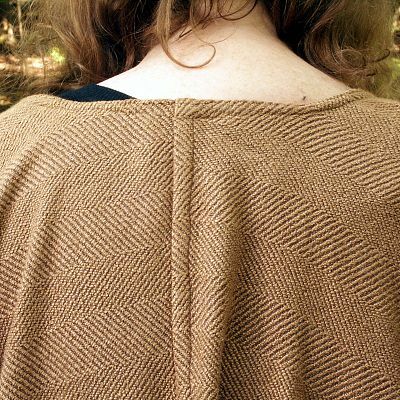 This cloak measures 43" from the back of the neck to the bottom hem. 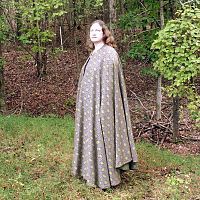 The neck opening is 30" around, which is rather large-- good for accomodating those who are heavyset, or whose garb/armor needs extra space. 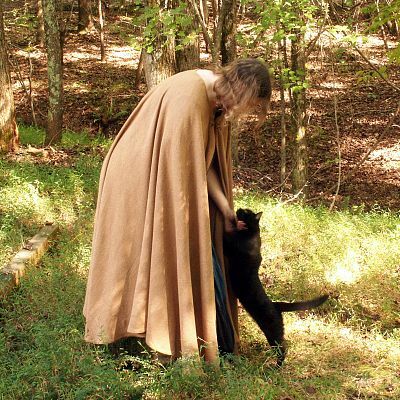 That's me in the pictures. 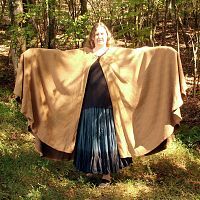 For reference, I'm 5'9" tall. 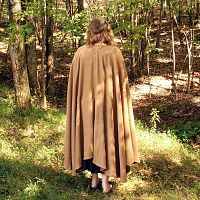 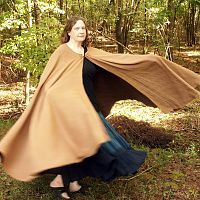 Do you have any other questions about our Full Circle Brown Cloak?